The recent frost and freezing temperatures are taking their toll and so our last day of the season will be Oct 20th. We still have peppers and eggplant available for pick-your-own but please call ahead for field conditions before making the trip out. THANKS TO EVEYONE FOR A WONDERFUL SEASON! At Boughton Farm we believe in providing our customers with the freshest, best tasting, locally grown produce at the best possible price. Food that comes straight from the field doesn't spend time in shipping or sitting in a warehouse. This helps ensure freshness and keeps costs down. 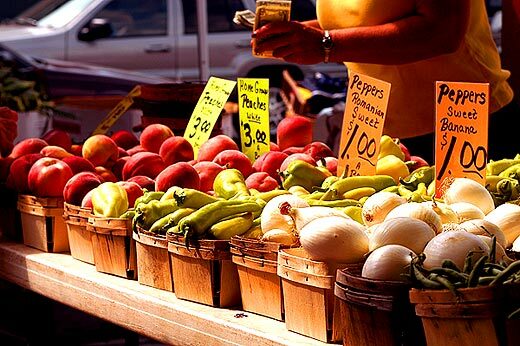 In addition to shopping in our market, many of our fields are open for Pick-Your-Own which adds to your savings. We Invite You to visit us and re-discover Your local family farm. So bring your family out for an afternoon, enjoy some fresh air and let your kids see what vegetables look like growing in the field, not just on the grocery store shelves. Since 1853 our family has owned and farmed the land, just as we do today. We believe in quality and things that are built to last. Boughton Farm provides locally grown fruits and our own vegetables. You won't find anything this delicious in any supermarket! Find out the latest news at Boughton Farm.